Some breaking news before the review–The Cybil’s Finalists have been announced! Go here for all the nominees. Below are the choices for Middle Grade Fiction. I’ll be helping to judge the winner, but fortunately I have a head start as I’ve reviewed 5 of the 7. Inciting event. It’s the key scene early in a story setting the stage for the problem the main characters try and overcome. In THE JOLLY REGINA there needed to be a good one because Jaundice and Kale Bland are the most boring characters ever created. Of course they wouldn’t have it any other way. They love the boring life. Ever since their parents left and never came back, they darn socks and watch the grass grow. Then someone is at the door. Inciting event? You bet it is in the form of a pirate who kidnaps the girls and takes them to the Jolly Regina, an all female pirate ship. From then on it’s a rollicking adventure as they learn the ways of pirate life while trying to get their old one back. The mystery of their missing parents also begins to unravel. The twenty-five chapters are short with snappy dialog and laugh out loud results. This would be a great first book for a child entering the MG years. It’s an easy read that keeps entertaining with each step down the plank. FULL PLOT (From AMAZON) In the spirit of A Series of Unfortunate Events and the Incorrigible Children of Ashton Place series, The Unintentional Adventures of the Bland Sisters will captivate middle-grade readers looking for humor, hijinks, and a swashbuckling good time. Meet Jaundice and Kale Bland, two sisters who avoid excitement at any cost. Together, they patiently await the return of their parents, who left on an errand years ago and have never returned. Kids won’t get some of the references but it had me giggling. For instance… Captain Ann Tennille. The fun pen and ink sketches throughout also added a smile. A challenging vocabulary word is defined at the beginning of each chapter along with a drawing depicting the word. A great way to increase comprehension. A fine supporting cast of characters make the story complete. They each have their own mini-story and you’ll cringe but also maybe grin as to how Peg lost her leg. This has series potential, and I’m sure we will find Jaundice and Kale back for another adventure. Young readers rejoice! Yo Ho Ho! FAVORITE LINES: The Bland Sisters look forward most to the evenings, when they entertain themselves by reading the dictionary to each other, then staring at the wallpaper until they fall asleep. 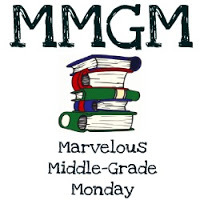 This entry was posted in Reviews and tagged female protagonists, Kara LaReau, Marvelous Middle Grade Monday, MG book reviews, Middle grade, The Unintentional Adventures of the Bland Sisters. Bookmark the permalink. Interesting title that maybe doesn’t do justice to how funny this story sounds. An all woman pirate ship sounds like such fun. And love seeing the Cybils list. Happy New Year, Greg! The name, Bland, is funny in the context of the tale. This sounds like a rollicking adventure. Happy 2017! I hadn’t heard of this title, so I’m glad to hear it’s funny. Illustrations and short chapters are a bonus. Love the first names of the sisters. This sounds great! I love that they were taken` onto a all female pirate ship. 😛 And I think it’s cool that they added illustrations to it. Added to my TBR list, and Happy New Years! I will definitely have to get this one. It sounds perfect. Thanks for such an excellent review and Happy New Year. This sounds really good with sisters thrown into adventure, pirate ships and a mystery. I’m excited to see the winners of the Cybils! Thanks for the review! What a great cover! They certainly like bland. Sounds like it will make a great series.